I have been very busy these past few days. Kitty and I have been looking at houses, with the intention of getting an idea of the market, seeing what other people are offering (and asking for) as well as checking if the house we want is out there. Well we saw a few houses and were pretty shocked at their asking price, which was a lot higher than I would have paid. When queried about this, the agent for the seller told us that land was worth a lot. I am not sure if agree with this. If it is true then I am sitting on a huge amount of money. 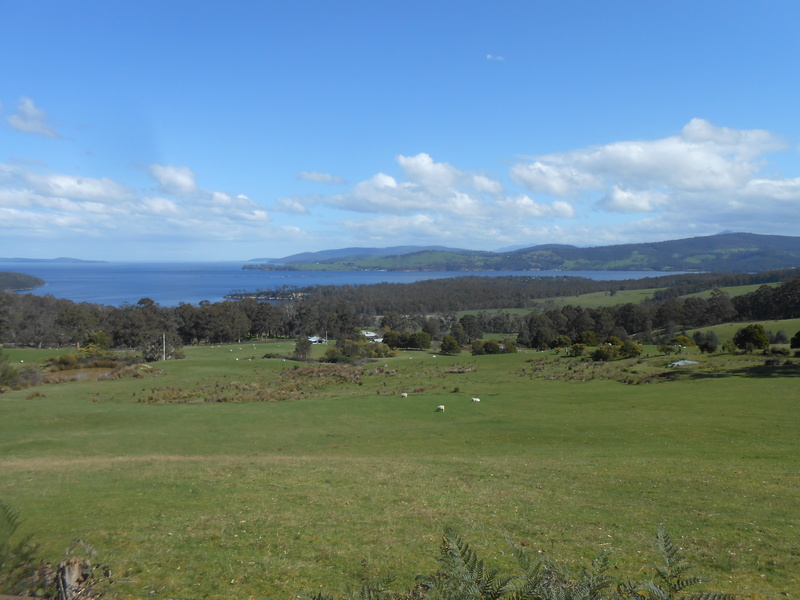 We have been checking out the area around Cygnet, in the south of Tasmania. I thought I would share some of the imaged of the area, so you can see why we are so charmed by this area. The view of Port Cygnet…. or close to it. Kitty and I believe that we may have found the place for us. The land size is a huge change from my current 20 acres… it is .6 of an acre. 5 years ago I would have laughed at such a small property, yet now, having owned 20 acres, I have decided that it would be much smarter to have less land, yet do more with it. The land is already pretty well set up, it has more than 20 fruit trees (Dwarf varieties), Olive trees, currents, etc. It also has a well established chicken house, and a medium sized garden. It is the garden which is most interesting to me. 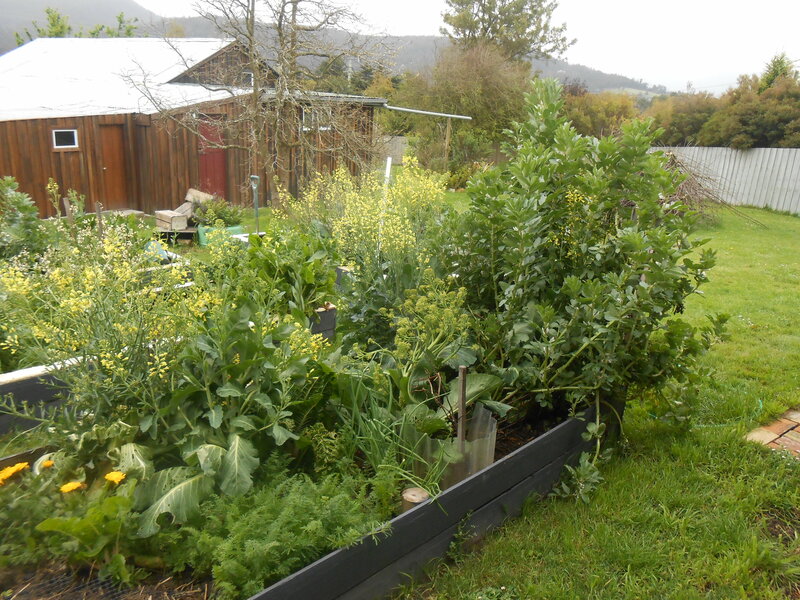 Their garden has 6 foot tall Broad bean plants, 4 foot tall Broccoli, It looks amazing, especially considering that we have just left winter. The climate in this area must be very conducive to growing, which is something I am having trouble with. Just a small section of the garden at the house. Look at the size of those plants! Well, I don’t want to say too much yet… still working on things at the moment.